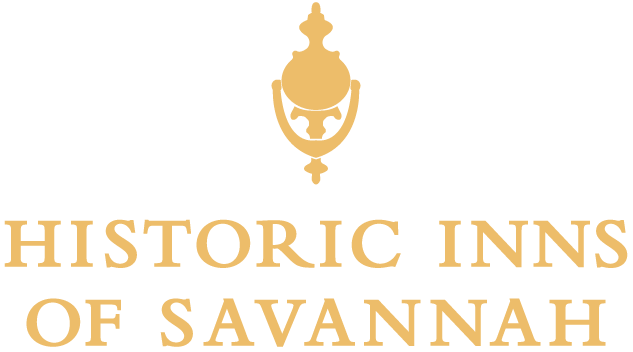 Uncover spacious suites complete with modern amenities and historic ambiance you expect from a Savannah boutique hotel. 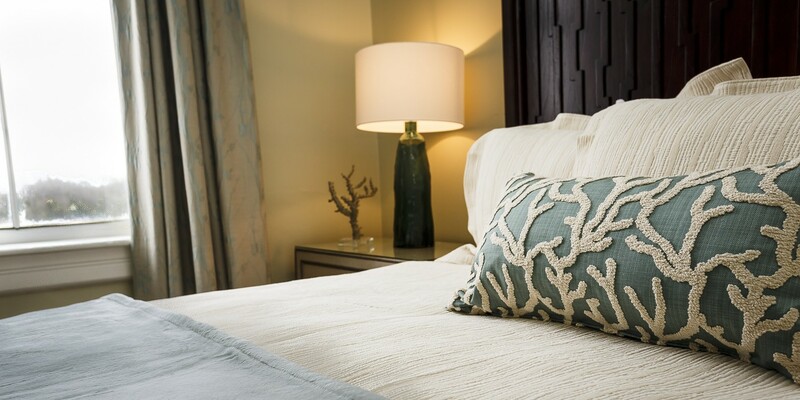 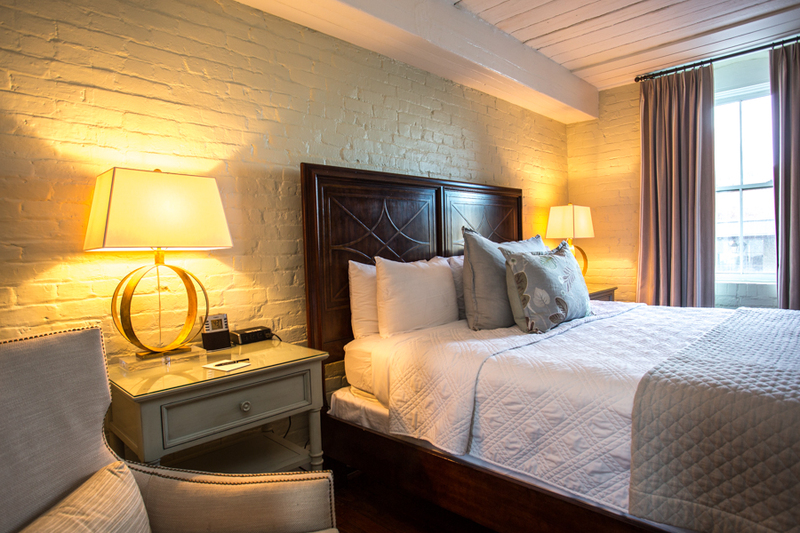 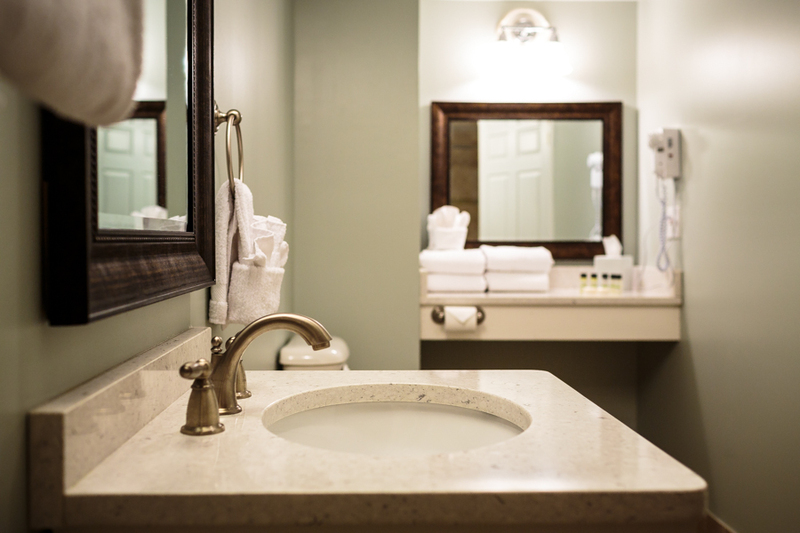 At Olde Harbour Inn, we work to ensure your guest suite has everything needed to make your Savannah getaway a carefree, relaxing occasion.  Please Note: Our wrought-iron steps and cobble-stoned streets are a historic part of our River Street location, but some guests with mobility issues do find them challenging. 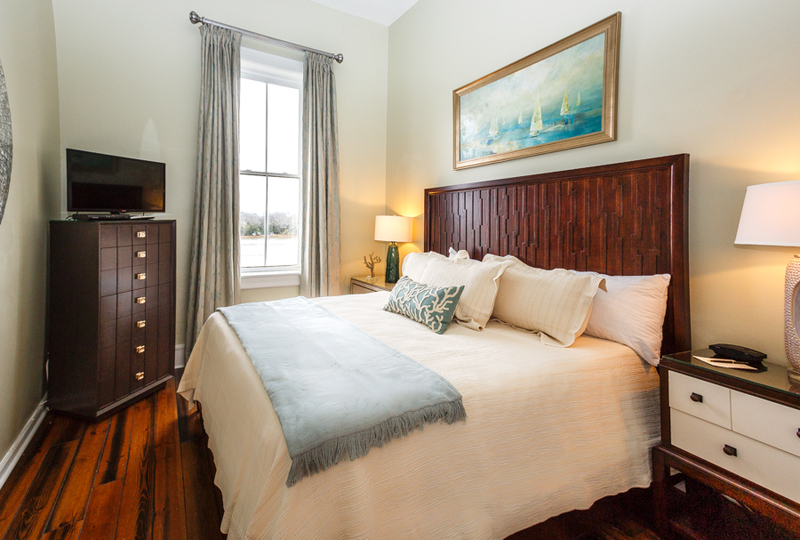 We do not have an elevator at Olde Harbour Inn, but please count on us to gladly assist you with your bags. 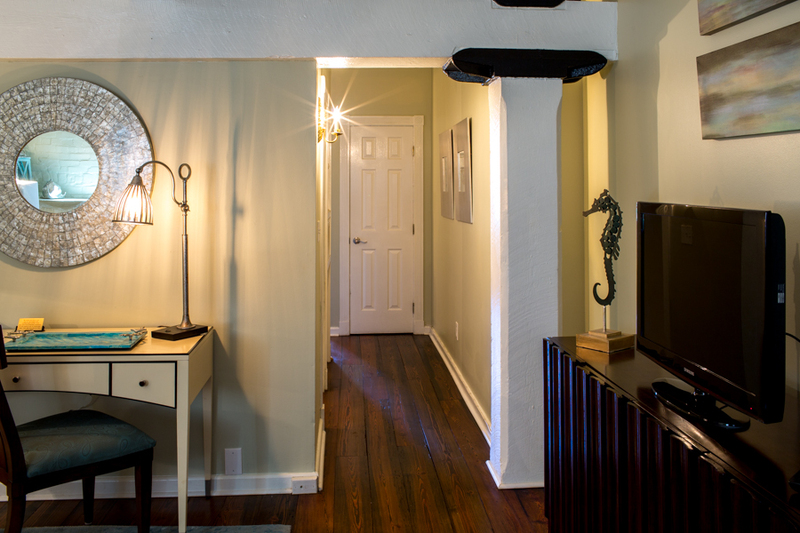 Breakfast is available in our dining room adjacent to reception. 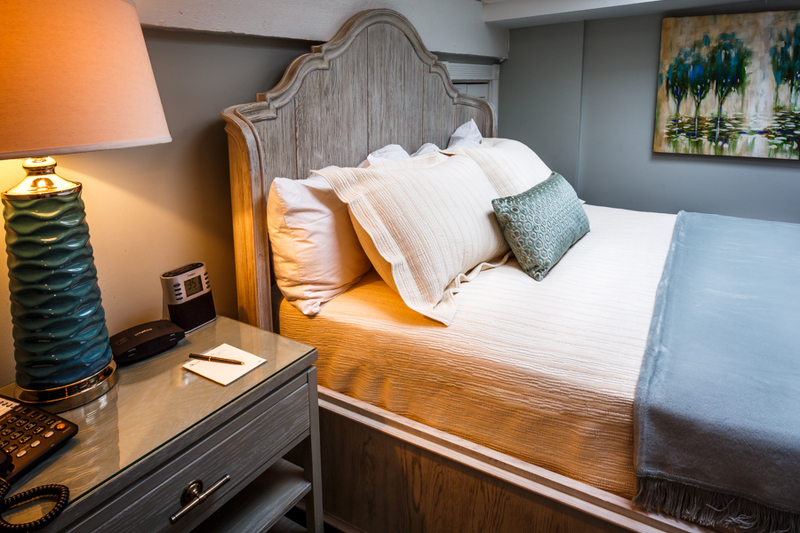 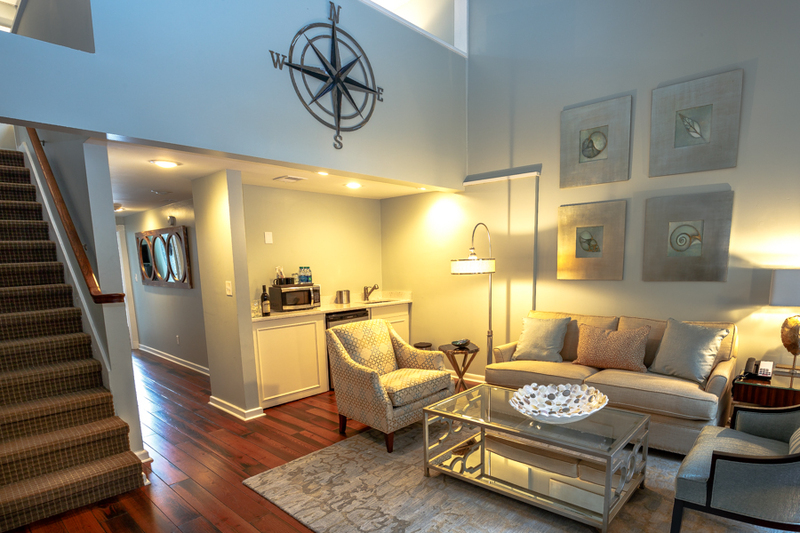 At 450-square feet, our Queen Suites are the smallest of the Olde Harbour Inn's suites, but still trump an ordinary hotel room for extra leg room and authentic historic atmosphere. 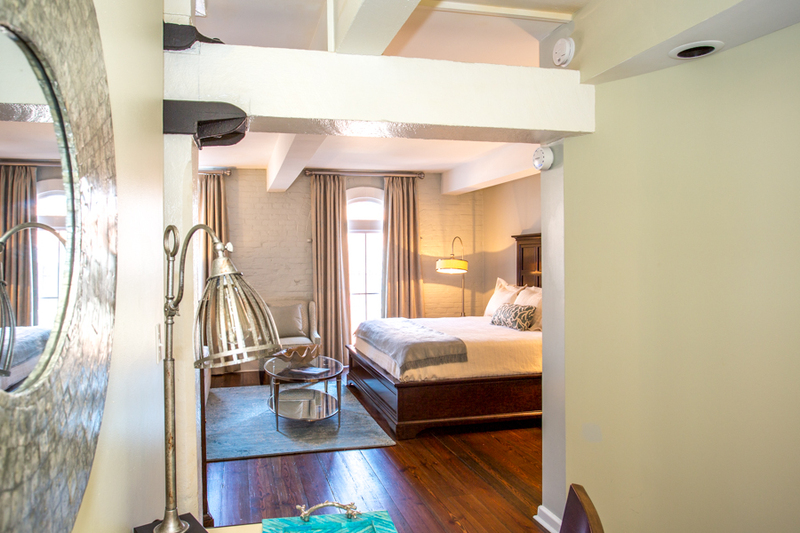 Reminiscent of apartment-style living, the King Suites have a contemporary layout enhanced by architectural details from the Inn's days as a warehouse in the 1890s. 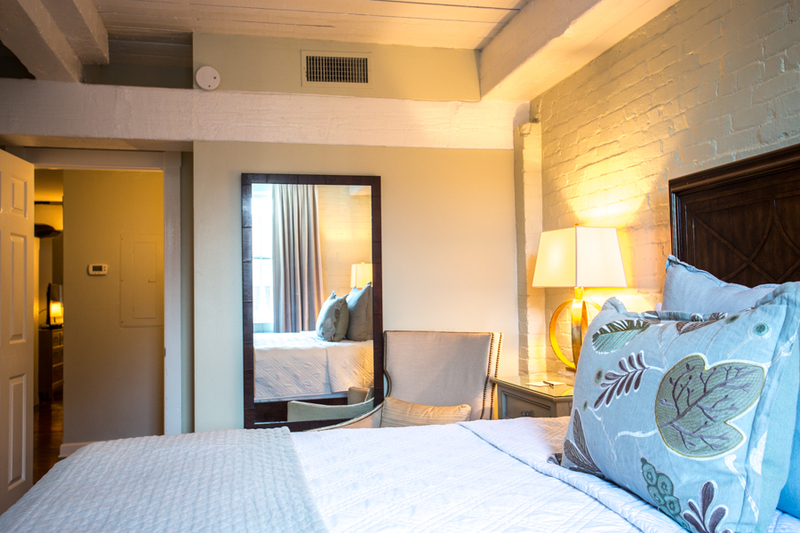 The King Suites are among our guest favorites for their price, value, and spaciousness. 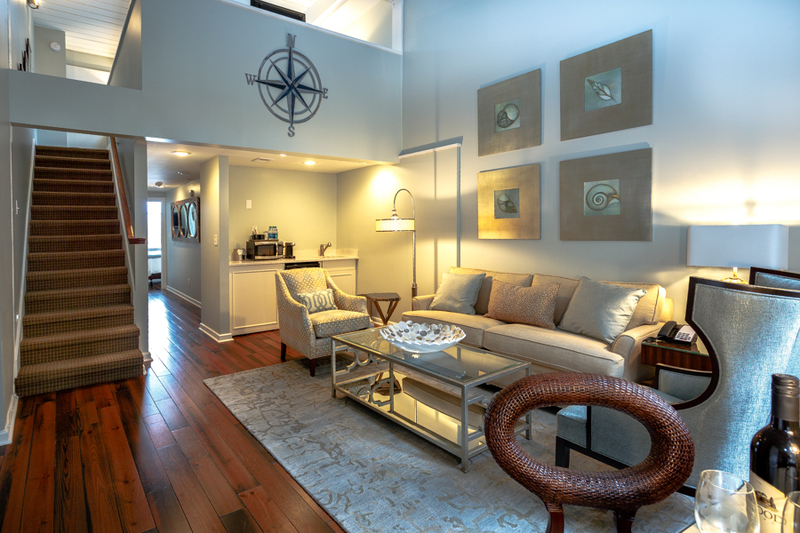 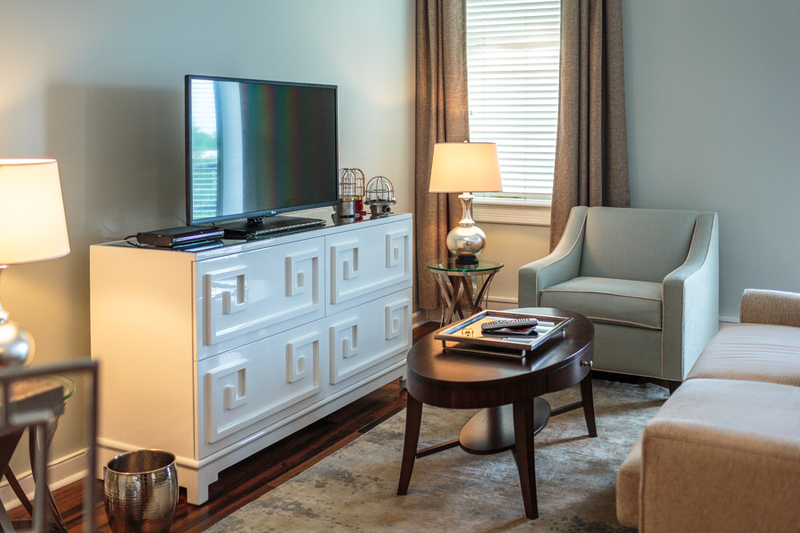 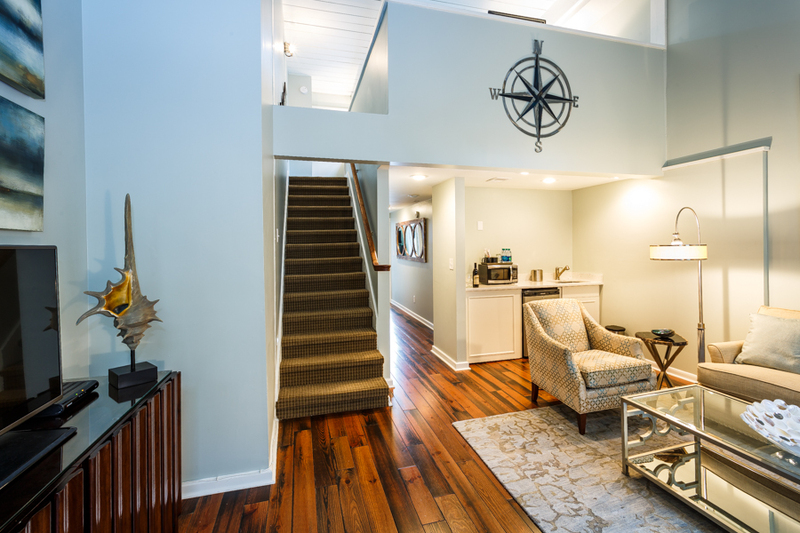 Wide-planked hardwood floors, 22-foot ceilings, and a wet-bar area make this suite a popular choice. 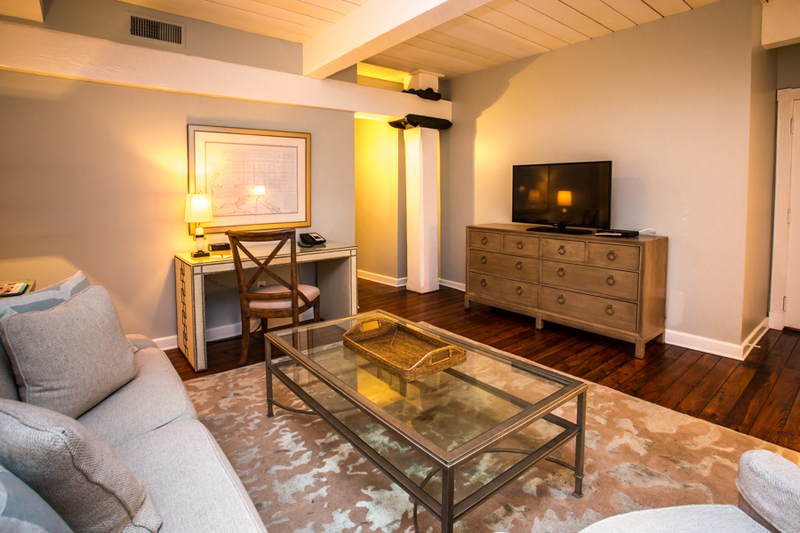 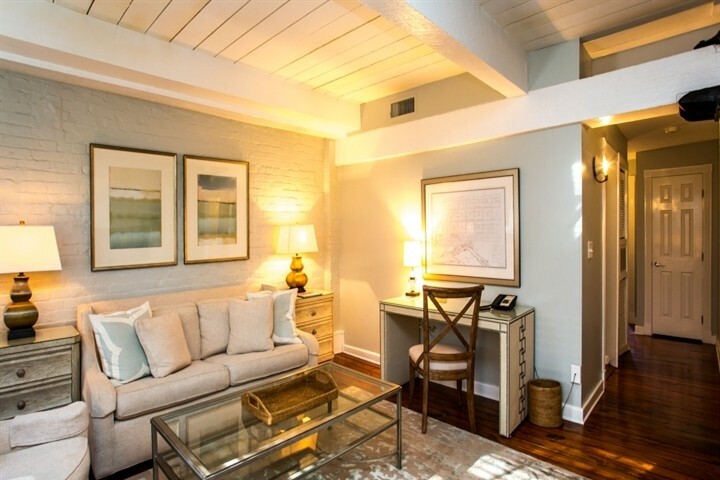 Located on the Inn’s top level, this spacious suite features a King size bed (in a private bedroom) and living area on the main floor, plus an upstairs loft with a Queen size bed nestled beneath skylights. 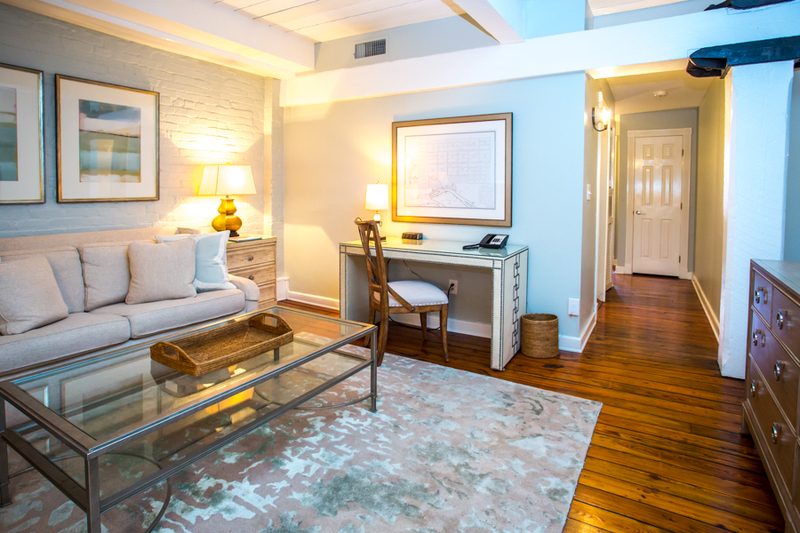 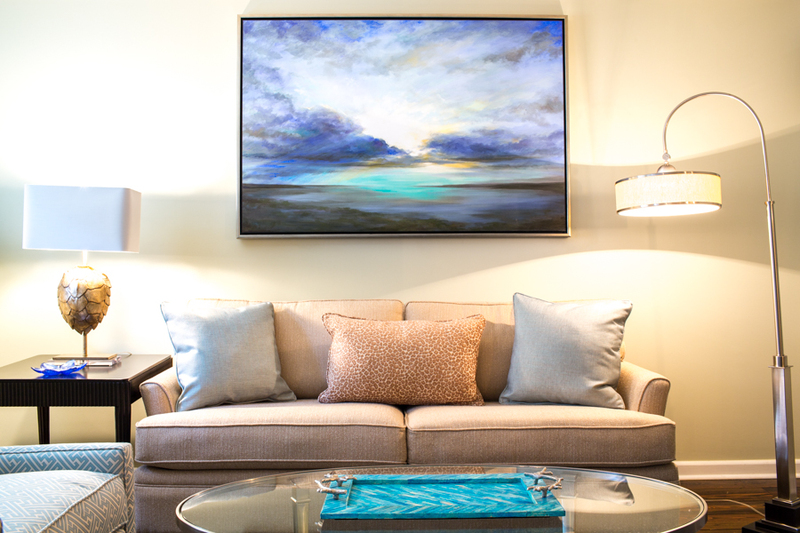 Our most popular suite, the Premiere Two-Bedroom Suite has a small balcony overlooking River Street. 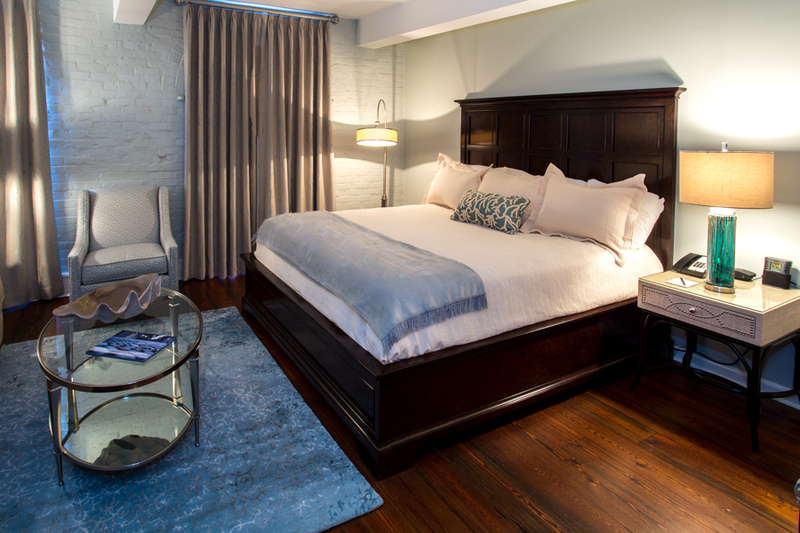 Located on the Inn’s top level, this suite's King size bedroom is open to a living area on the main floor. 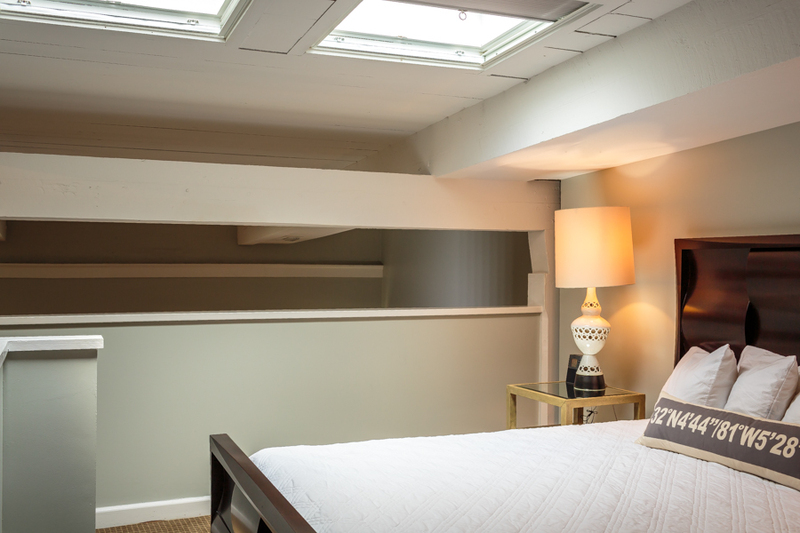 A Queen size bed is upstairs in the loft beneath skylights. 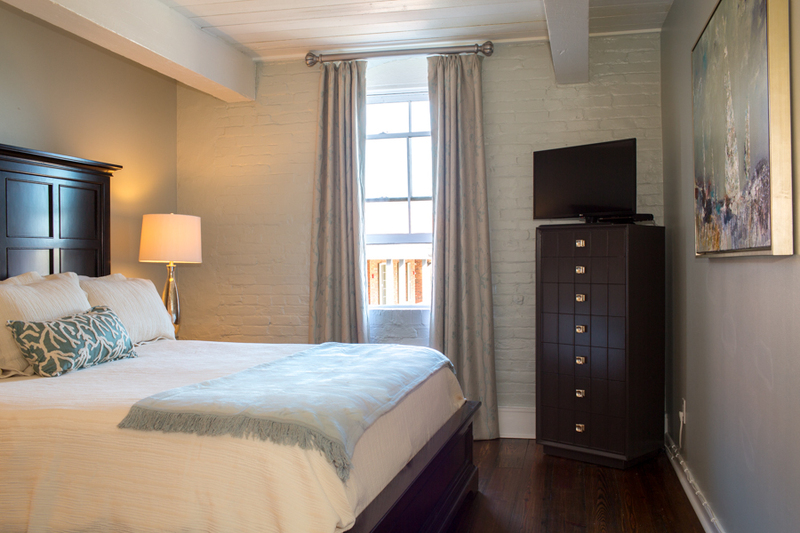 Perfect for the whole family, including the furry ones, our pet-friendly rooms allow you to enjoy Savannah together. 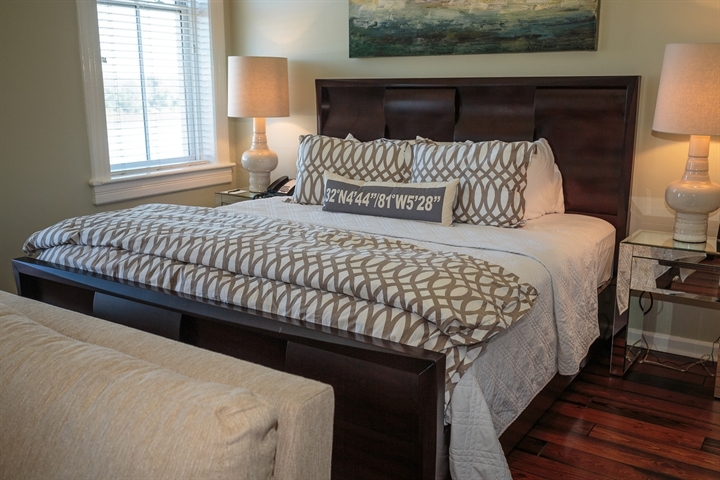 Olde Harbour Inn has a variety of room types available for guests traveling with their pets.